MATERIALS 1. Solid wood frame covered with HR 40 kg/m3 foam. Suspension made with NEA elastic webbing with 10 year guarantee. 2. Seat cushion made with non-deformable HR 40 kg/m3 foam plus 3cm super soft layer. 3. Backrest cushion made with HR 30 kg/m3 foam. All covered with 10mm foam plus H100gr fiber. 4. Legs in solid beech wood or swivel base. Past talks about future; with the strong of creativity, for experience alternative ways. A review of tradition for taking space to a new dimension. 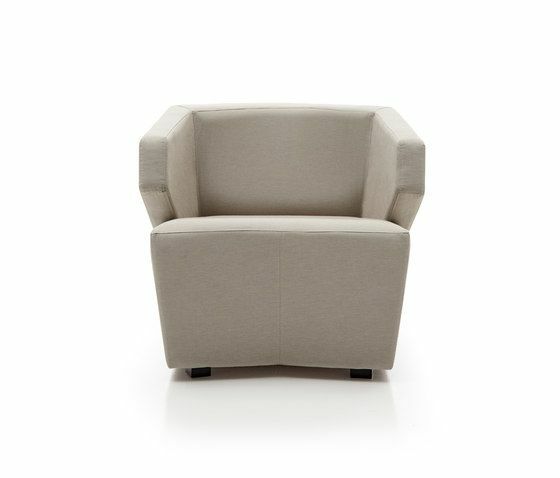 Delp underlines ideas with creative forms that express the lightness surprise of an armchair that reminds the archetypes. A new classic forms eclecticism that reminds histories and styles comparing this with strong symbols of contemporary scene: a closed past.